Solar panels used to power a RV. As the world moves in a more sustainable and eco-friendly direction, it’s becoming even easier to make “green” upgrades to your RV that will not only help save the environment, but also save you money when living out of your mobile home for any period of time. Read on to learn more about the options available and what benefits they can offer. In general, solar power is a useful addition to your motorhome for two main reasons: trickle charging and providing primary electrical power. Just like your car battery, when your motorhome sits idle for an extended period of time, its batteries begin to lose power. Allowing your RV’s batteries to remain dead can result in permanent damage which will likely require replacement. Using a solar trickle charger in your rig can create enough power to keep your batteries fully charged, even when they’re not in use. These devices are generally quite small, inexpensive, and simple to install, making them a practical investment for your vehicle. For those looking to take a bigger leap into the world of solar energy, you can also purchase panels for your RV that allow you to harness the sun’s power as a primary source for your motorhome. Although these “solar kits” are typically more expensive and larger in size than a trickle charger, they are able to create sufficient power for routine operation of your RV’s house functions, such as lights, fans, and kitchen or entertainment amenities. The type of setup you’ll need will be dependent on how much or how often you plan to use each of these elements, but it can be exceptionally helpful for dry camping when you don’t have anywhere to plug in to another power source. We know installing solar panels can be helpful, both to you and the environment, but will it help keep more money in your pockets? In general, the answer is yes, but this is dependent on a variety of factors. Although you don’t have to pay for the energy you use when you stay at an RV park, these kits will significantly reduce the amount of money you spend on generator fuel for those times you’re on your own. Since it also helps keep your batteries healthy, you’ll likely save some cash on battery maintenance and replacement costs, which can cost a chunk of change. Additionally, if you live in your motorhome full-time and pay for constant electricity, installing solar panels will save you thousands of dollars in the long run by decreasing your electrical usage. Solar panels don’t need direct sunlight to function, meaning they’re effective year-round, even in the winter. You can use an online power calculator to help determine your solar power needs based on your personal preferences, which can help you choose an appropriate solar power system for your vehicle. 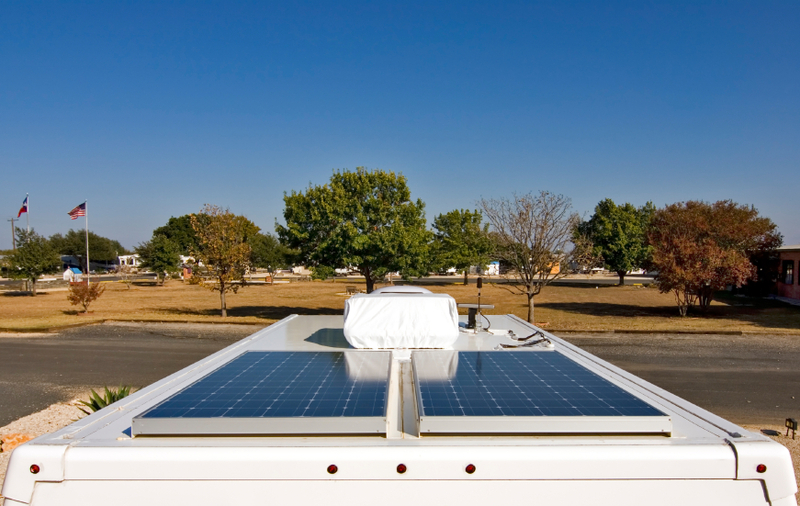 Installing solar panels can be an incredibly beneficial addition to your RV travels by increasing your mobility and saving you time and money. 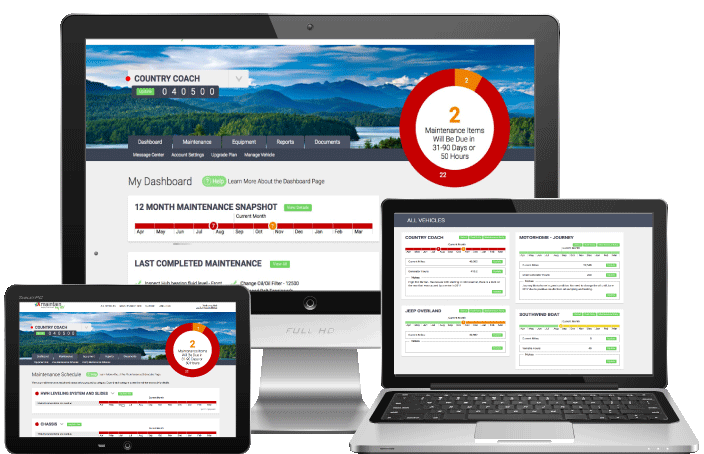 Be sure to utilize your online RV maintenance schedule and log at www.maintainmyrv.com to help you keep up with your motorhome’s solar kit for an efficient and eco-friendly future.